Serving Veterans As Grateful Americans! Thank You for Your Service! Know that you are not alone. You do not have to continue to carry the burdens of war on your own. There are Warrior Groups across the country. The PTSD Foundation of America and Camp Hope are here to Help. Camp Hope offers a PTSD recovery program in which veterans attend group lessons and support sessions with other combat veterans; conduct individual mentoring sessions with certified combat trauma mentors; and participate in off-site small group interaction activities to assist in their personal healing. The veteran's families are involved throughout the counseling and recovery processes. The following videos show the great work of Camp Hope: https://www.youtube.com/watch?v=LLbCrNYcDAU&sns=em. Call a Veteran 1-877-717-7873 | www.ptsdusa.org. The cornerstone of the OI Civilian-to-Military Delivery System® is the Civilian Ration ® (called C-rat ®). Designed for delivery to the frontlines, C-rats are individual quart-sized baggies that contain a personal note from a caring civilian at home and a few treats such as snacks, games and personal care products. The most important part of the C-rat is the letter from a person who has never met that Soldier, Sailor, Marine or Airman, but takes the time to write his or her expressions of care and concern. TexVetis dedicated to providing veterans, military members and their families with equal access to information. By collecting federal, state, and local Veteran Service Organization (VSO) information, TexVet has created an online Veterans Services Provider Network (VSPN). Military branches and non-profits provide active duty service members, veterans, and their family member with ample funding opportunities for college. Funding and training for current personnel are usually designed to help you complete a certificate or degree program around your military schedule. Veterans have access to monthly school funding of up to $1,500 per month and career development training. Spouses and children of service members and veterans are often eligible for tuition, educational supply assistance, and child-care aid. 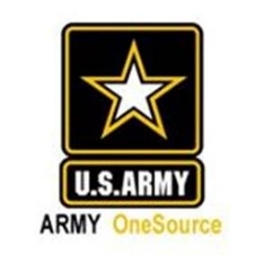 VetJobs is the leading Internet niche job board for reaching the 10.5 million military veterans currently in the work force, the 200 thousand active duty military personnel who transition each year, the over 400,000 members of the National Guard and Reserve who return to the United States each year from extended deployments, and their family members. VetJobs was established in 1999 following extensive research on job and resume sites catering to the military market. The research indicated there was a gap in sites which assisted employers in identifying the transitioning military and veteran candidate. VetJobs is operated by a seasoned management team of professionals to assist companies, recruiting firms and hiring authorities to successfully reach the military market.